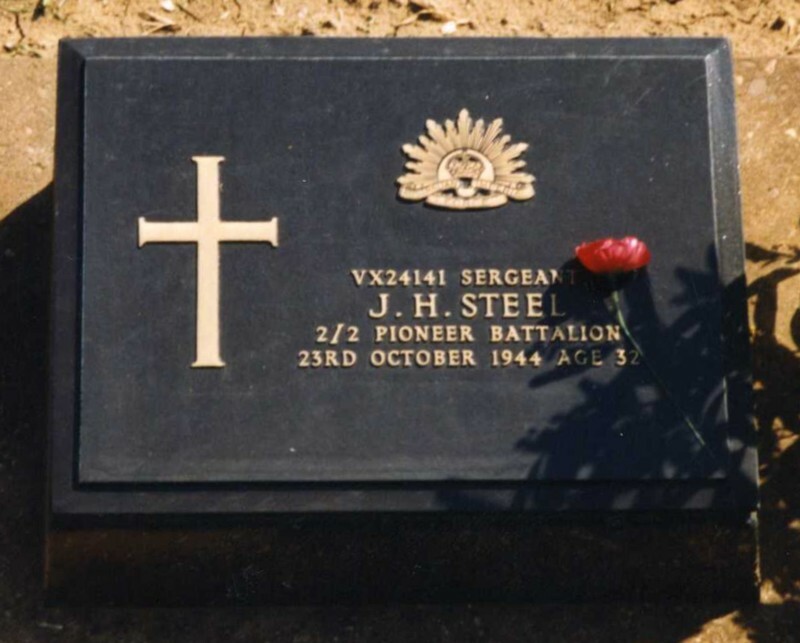 Background : Son of David and Marion Ethel Steel, of East Malvern, Victoria, Australia. Jack was farming in partnership with his brother David at Freshwater Creek near Anglesea. His twin brother Tom was a doctor with the 2/4 Australian General Hospital. They met in Jerusalem in late 1941 for dinner - an Officer's meal served in the Sergeant's mess, then John stayed the night in Tom's quarters. His brother met him in Lieutenant Pemberton's tent in January 1942 near Damascus. Service & personal summary At enlistment : single. Previous military experience 23/21 Battery for 18 months with rank of Corporal. Blue eyes, fair hair. Marks / scars : nil. 07/06/1940 Taken on strength Recruit Reception Depot Caulfield, Victoria. 12/06/1940 Transferred to No.1 Training Depot Balcombe, Mt. Martha, Victoria. 04/07/1940 Transferred from No.1 Training Depot Balcombe, Mt. Martha, Victoria to 2/2 Pioneer Battalion Puckapunyal, Seymour, Victoria. 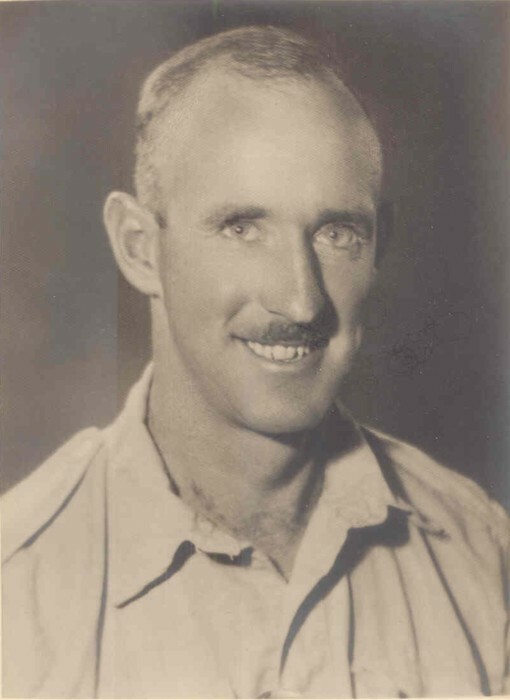 24/03/1941 Appointed acting Lance Corporal Balcombe, Mt. Martha, Victoria. 07/04/1941 Appointment Lance Corporal confirmed. 10/06/1941 Promoted to acting Corporal. 10/06/1941 Rank of Corporal confirmed. 04/03/1942 Reported missing in action. 01/12/1942 Reported missing in action now believed prisoner of war. 11/03/1943 Admitted to camp hospital with inflammation above right eye. 22/03/1943 Discharged from camp hospital. 27/08/1943 Admitted to camp hospital with ulcers & malaria. 17/09/1943 Discharged from camp hospital. 21/09/1943 Admitted to 105 Kilo camp hospital with ulcers & malaria. 06/09/1944 Moved to Camp 1 at Tamarkan. 23/10/1944 Died 0820 hours while in prisoner of war camp (septic arthritis, malaria and pneumonia). Buried in Grave 39 Row H, Tamarkan Cemetery by Major J. Wylie. Moved after the war to Kanchanaburi War Cemetery, Thailand.